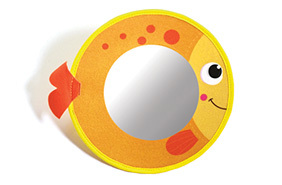 Place your baby on his tummy in front of the mirror, so that he can gaze at his reflection. 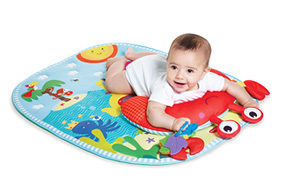 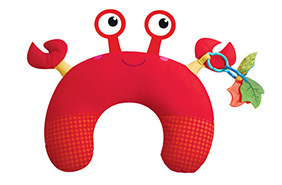 Use cute tummy time pillow to support baby through tummy time. 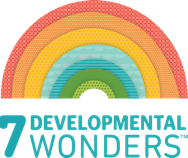 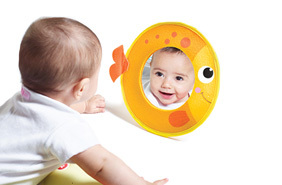 Play with stand-alone mirror to keep baby engaged while on his tummy.